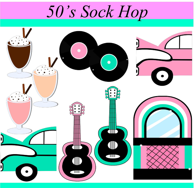 Come learn about sock hops and Rock n’ Roll while enjoying 50’s style snacks and tea. We will be featuring American Girl Doll, Maryellen Larkin and raffling off American Girl themed prizes. This event is for Girls ages 5 and up and must be accompanied by an adult chaperone. Dolls and other lovies are welcome, but not required. Events will be held on February 11th and 12th. Register now to save your place. The fees are $13 for members of the La Grange Area Historical Society and $18 for non- members. If you are not a member but you are interested in joining, see our membership options here.